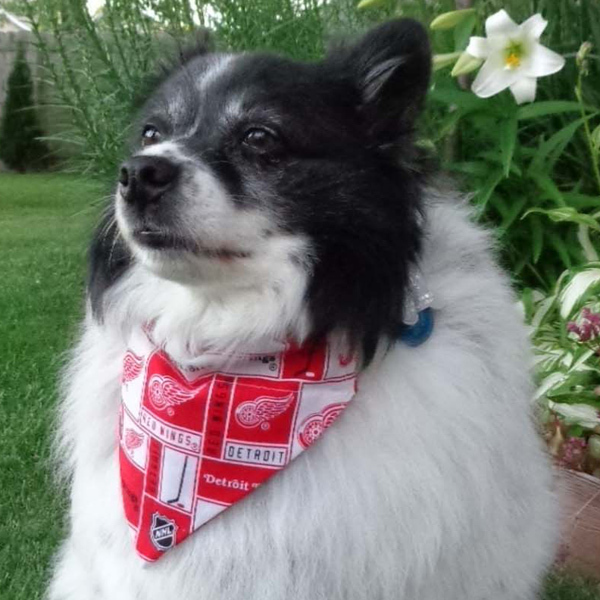 This Detroit Red Wings dog bandana is a classic accessory for the handsome and dashing dog. The Detroit Red Wings Dog Bandana is in red and white with Detroit Red Wing emblems. Simply slip the bandana over the collar and you and pooch are on your way – or slip the bandana onto the leash.